Magento Security extension is the key to the Magento Store Protection. Ensure the protection from hack attacks and malware threats with a wide range of security opportunities of Magento Security extension. 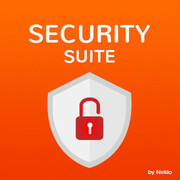 Every store is unique, and Magento Security Suite offers a customizable solution for your daily security needs. There is plenty of options you can choose from and combine according to the demands of your website. 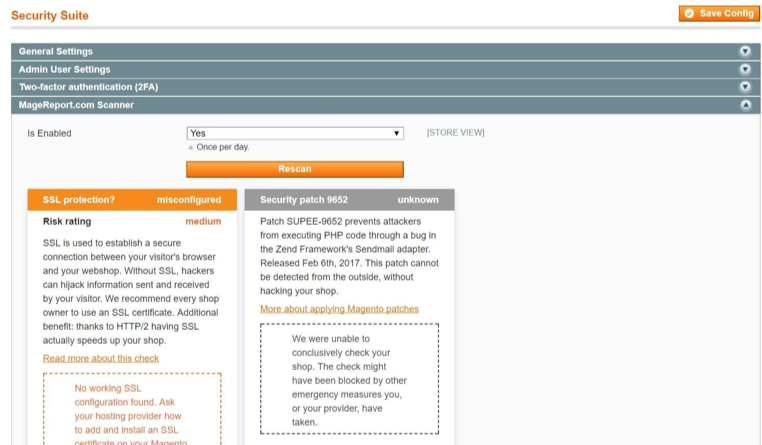 Magento Security Plugin provides a full 24/7 control over your online store. Detect every login attempt and choose who can access your site. Manage all existing accesses and adjust the advanced password settings, set two-factor authentication to bring the security of your website to the whole new level. 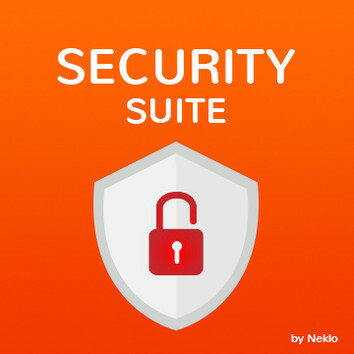 What does Magento Security Suite provide? There is no need to use a few extensions to get full Magento Store Security anymore. All the efficient means of protecting your store are already here. The extension covers all soft spots of modern Internet security. Get full control over active sessions via Admin User Settings. The settings allow to logout all active sessions at login. Choose minimum password length, enable the use of lower and uppercase letters and digits in a set of advanced settings. Specify a list of activities which allow password reset. The settings allow to choose from a variety of password lifetime restrictions featuring time limit, amount of successful logins and login failures and time lock mode. Lock or unlock any user manually with a new lock/unlock button in Permission settings. Enable the 2FA setting for Admin users. 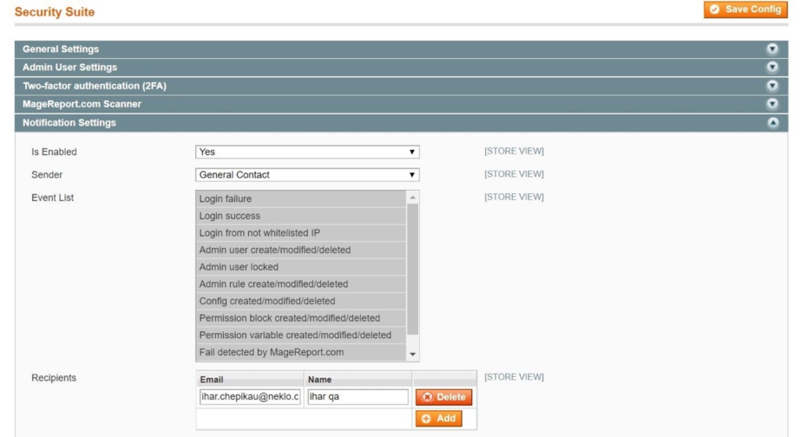 2FA requires a phone number to be assigned to a user in order to login in Magento Admin panel. Scan your store by MageReport as frequently as you need. Rescan is completed once per day in 0:00:00 of server time and can be rescanned manually at any time. The results will be displayed in Magento Admin panel. Get email notifications about Magento admin activities. The event list includes Login success, Login failure, Login from not whitelisted IP, Admin user created/modified/deleted, Admin user locked and a few more activities. Use new Login Attempts and Action Logger grids to see all login attempts and admin user actions. Restrict lifetime for both grids and store expired logs under var/export folder if necessary. See and check all admin sessions for any specific admin user. Protect your store and your customers with Magento Security Tool to make your online store safe and worth visiting.